The holiday season is months behind us, and along with the sparkling decorations, turkey basters and festive wrapping paper, we’ve also packed away the spirit of giving that seems to peak only in the month of December. Charitable campaigns and office food drives have concluded until the jingle bells ring again. 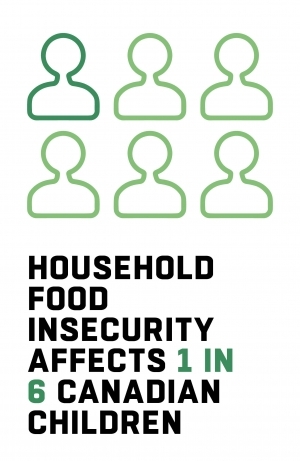 But the needs of Toronto’s hungry persist year-round and the data shows that the level of food insecurity in the city is reaching unprecedented levels. According to the Daily Bread Food Bank’s annual Who’s Hungry report, there were over 990,970 visits to Toronto food banks in 2017 – that’s a 13 per cent increase since 2016 and a 68 per cent jump since 2008. Studies from PROOF, a food security research group at the University of Toronto, showed that only a quarter of those considered food insecure in Canada access food banks or programs. That means these stark statistics represent just a fraction of the problem that we need to address. Visits to food banks isn’t the only number on the rise. The average length of access has increased from 12 months in 2010 to 24 months in 2017, meaning that those in need are relying on food banks – which are supposed to be a short-term last resort – for twice as long as they used to. For Lee, a former receptionist who is now on disability, her circumstances have improved and she’s no longer reliant on food banks. While she struggles with traditional food shopping options in her midtown neighbourhood (the closest grocery store is a Whole Foods Market), she’s putting dinner on the table in a different way. The setup is part of the Good Food Market network and is one of 42 across the city. While the market isn’t able to meet the needs of the severely food insecure (as in, those without funds to purchase their own food), it represents a wave of community programming at non-profits like FoodShare that are offering a more sustainable source of affordable and healthy groceries. Paul Taylor, executive director of FoodShare, has personal experience with the struggle of food affordability. 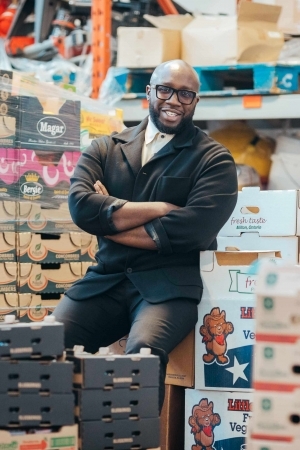 Taylor is now at the helm of FoodShare’s dizzying portfolio of community activities. They’ve piloted Good Food Markets in three TTC subway station newsstands and retrofitted an old Wheel-Trans bus to serve as a mobile market. FoodShare also operates rooftop farms on public land that employ youth to maintain and sell the produce grown. There’s also strong outreach activities for kids such as a toddler nutrition program, which is offered in seven languages. These are just a few of the organization’s many community programs helping Torontonians. One of Taylor’s points of pride at FoodShare is the school breakfast program. Organized in partnership with the Toronto District School Board and Student Nutrition Toronto, the program helps serve a morning meal to nearly 200,000 students every day. 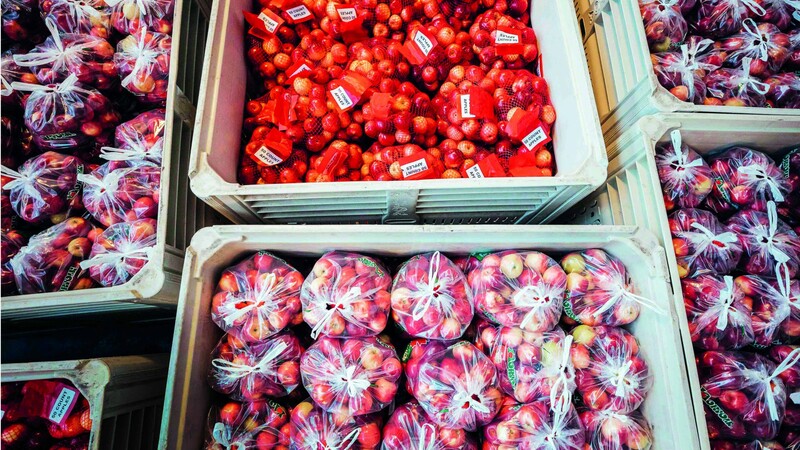 When we visited FoodShare headquarters on a sunny Friday morning this winter, shipments of fresh produce from the Ontario Food Terminal as well as direct from local growers, had just arrived. 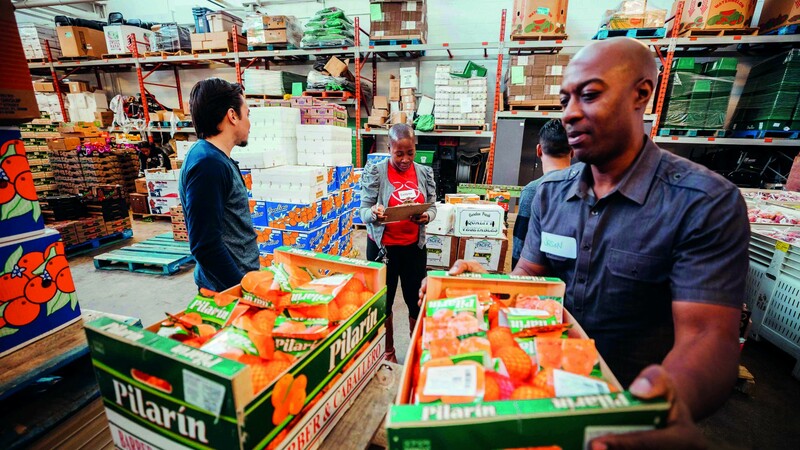 A team of warehouse workers, with the help of a corporate volunteer group from CIBC, were loading boxes of navel oranges, fresh berries, romaine lettuce, bananas and tiny apples measuring just a few inches in diameter, onto wooden pallets. Each pallet would eventually be shipped by truck to Toronto-area schools and the produce above prepared for and served to its students. 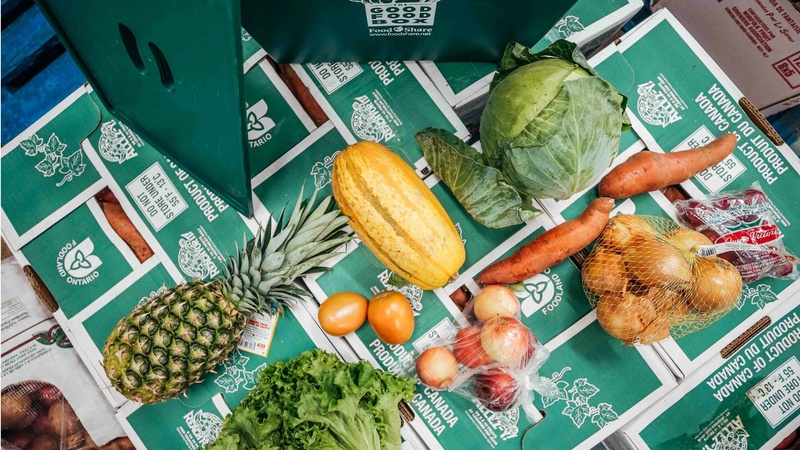 Leveraging the help of volunteers, along with financial assistance from donors, is how FoodShare keeps costs down and passes savings onto its program participants. Another mode is exploring creative partnerships with nearby producers, like the Norfolk Fruit Growers Association. It’s tempting to simplify the answer to solving hunger as getting more apples into the stomachs of hungry students, or food onto the tables of those in need. 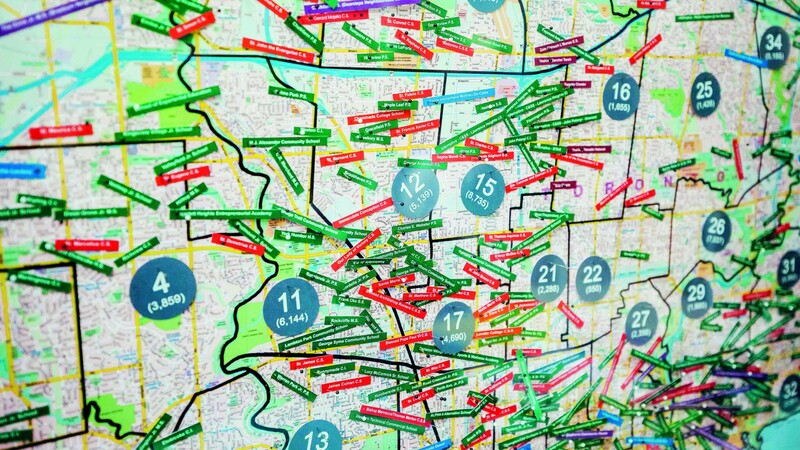 But the issue is widespread and much more complex. 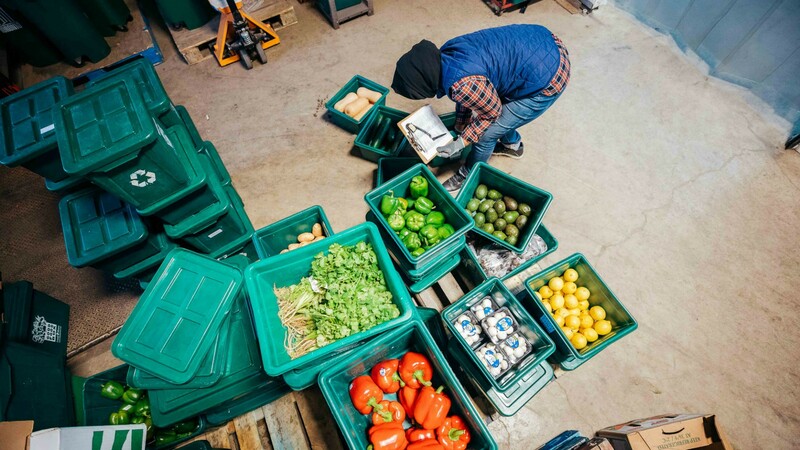 Making Toronto a more food secure city goes beyond donating money, bringing cans of beans to your neighbourhood food bank or volunteering at a non-profit. Both front-line charities like Daily Bread Food Bank and organizations like FoodShare are strong voices for housing benefits, an increase in social assistance benefits and, more recently, the Ontario Basic Income pilot. It’s a harsh wake-up call for Torontonians that have been appeasing their guilt or desire to do good with castaway non-perishables. “A can of last year’s cranberry sauce is not going to help people in the way that some might think. What will help is people having enough income to pay their rent, get to work and buy food,” says Paul Taylor. Many food non-profits like FoodShare echo Taylor’s calls to close food banks. But U of T’s Valerie Tarasuk reminds us that food banks remain the only source of food for those in desperate need. Until the government offers a solution, food banks will continue to serve this important purpose. U of T’s Tarasuk has long been advocating for policy change through her work. 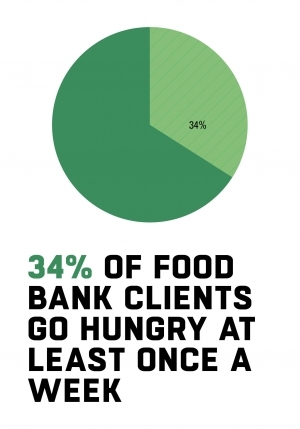 There is one thing that policy researchers, non-profits and food banks can agree on. Donations help, but there’s more we can do to make a difference, as Paul Taylor describes. “If everyone wrote to their MPP and said ‘great to see movement on minimum wage but unfortunately it’s far from a living wage. What is the plan to create a province where people can earn income that actually allows them to live in the province they’re working in?’, these are things that can happen right now,” he suggests as a first step.